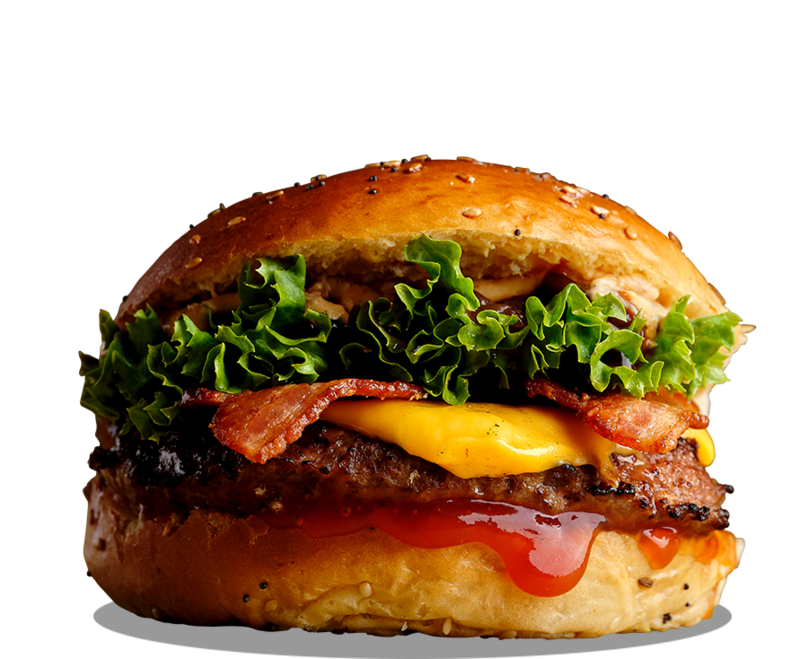 Cheese, smoked bacon, BBQ sauce, cajun mayo, red onion confit, ketchup, lettuce. Think cowboys and campfires. Our smokey barbecue and Cajun flavours coupled with crispy bacon and cheese fondue will have you rejoicing Yee-haa! as you clip clop through the streets feeling like the king of the cowboys. Melted mozzarella, Chimichurri steak sauce, ketchup, mayo, lettuce. A Patagonian herb and garlic blast, infused with olive oil to give a flavour so fresh you’ll want to pack your bags and follow your forefathers to the great Argentinian wilderness. Blue Cheese fondue, smoked bacon, cajun mayo, red onion confit, ketchup, lettuce. 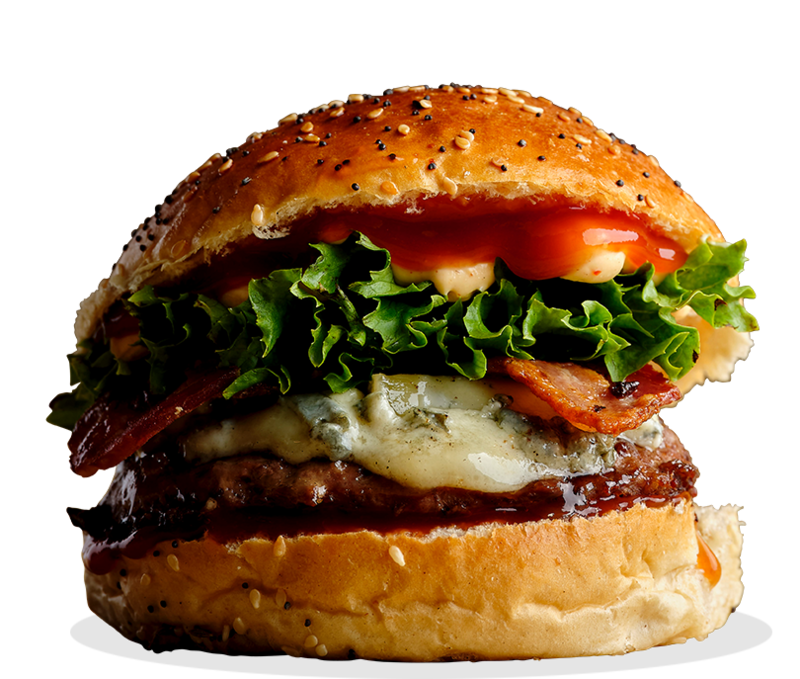 A match made in heaven - beef oozing with creamy blue cheese topped with bacon, onion confit and a little southern spice. 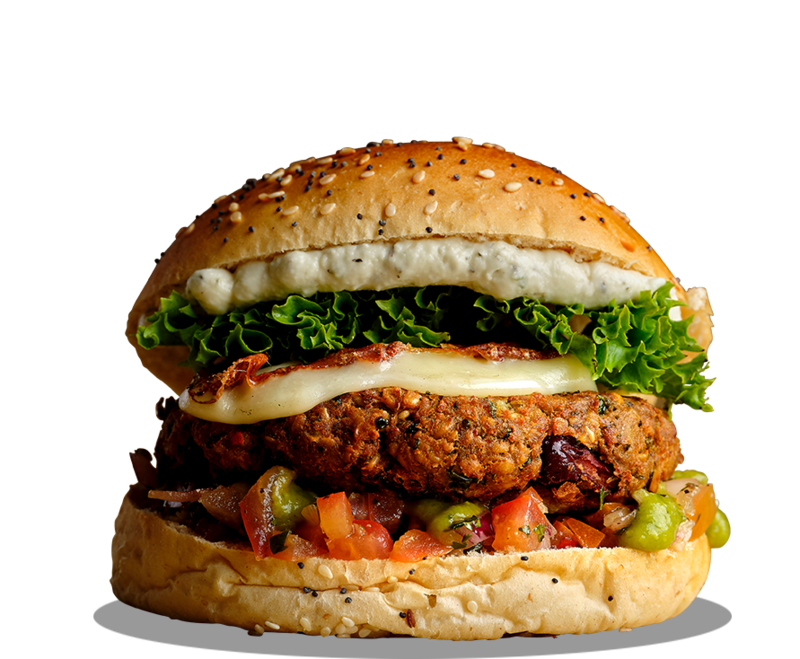 This burger is sure to bring out the Italian devil in you. 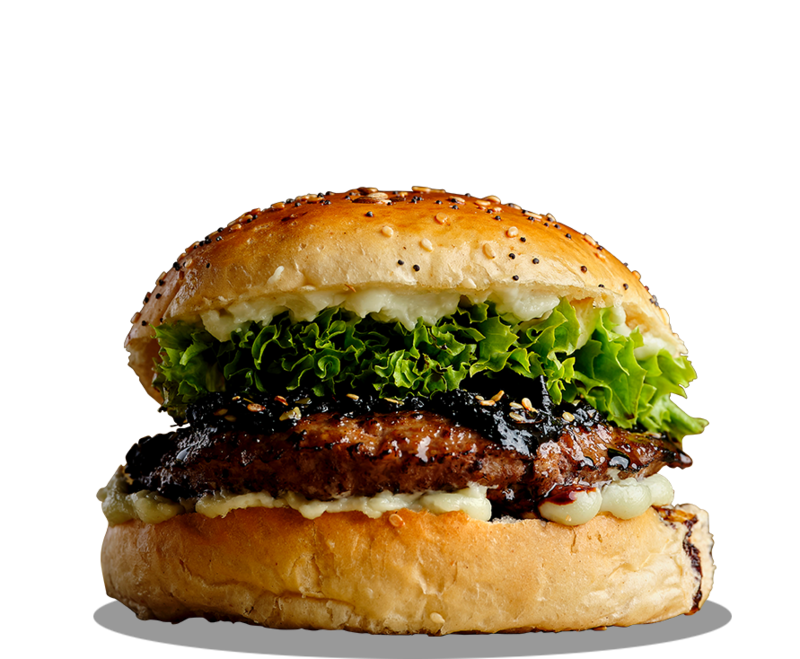 A Japanese delight - beef enrobed with our homemade ginger, shallot and sesame infused soy & teriyaki sauce, served with our wasabi mayo that tantalises your taste buds before it hits like a Sumo. 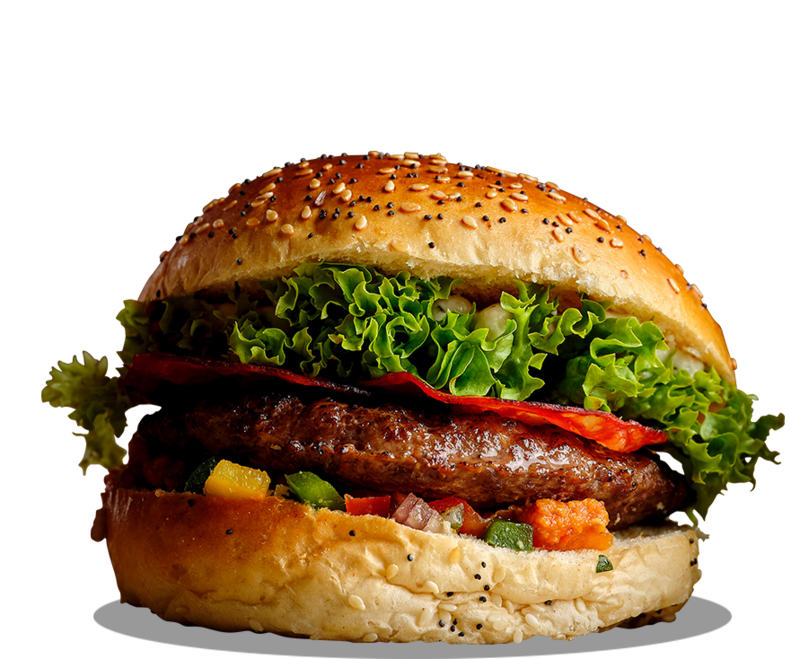 Beef, cheese, red onion confit, ketchup, lettuce. 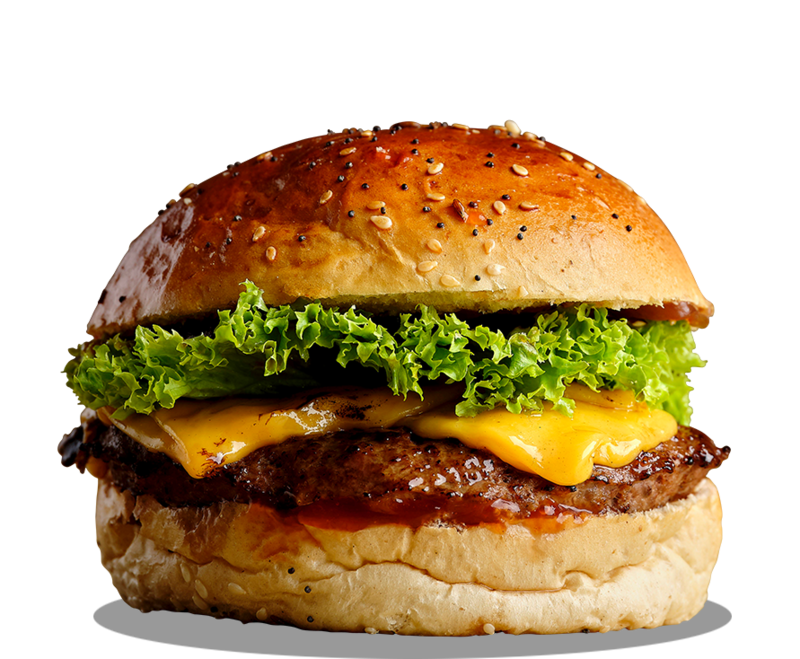 Beef smothered with cheddar cheese fondue to add texture and creaminess to every bite of the classic cheeseburger. 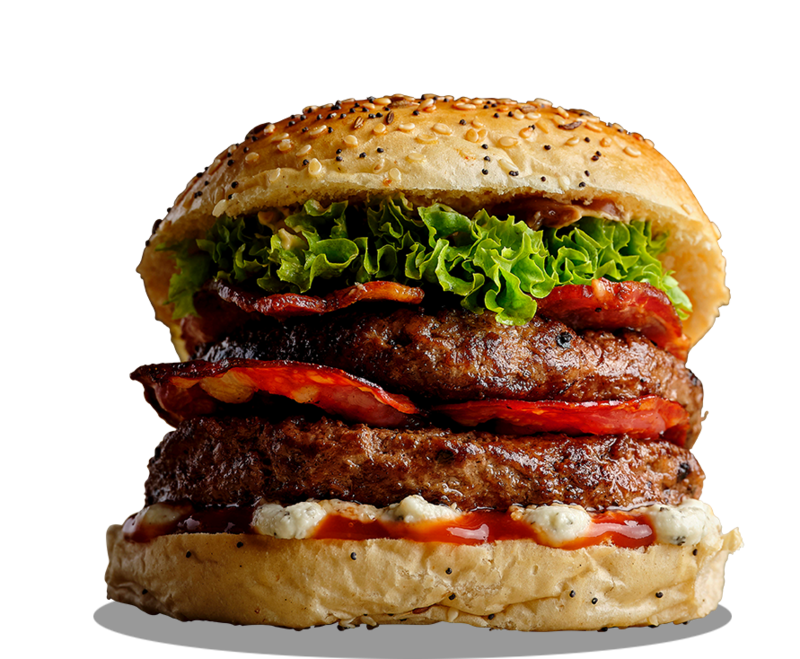 Honey glazed goat’s cheese, chorizo, mayo, hot chilli, lettuce. 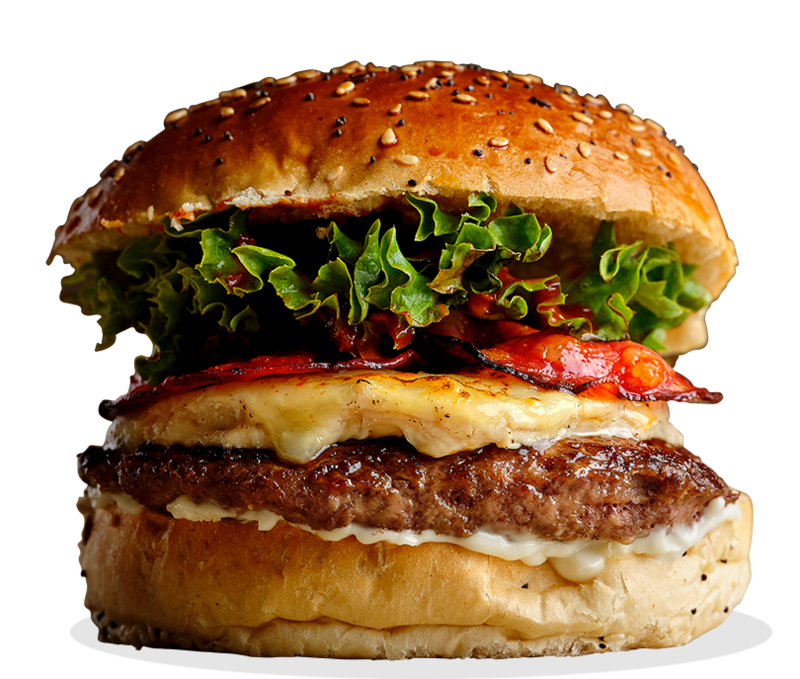 Like a primed Spanish bull, this burger is as refined in it’s complexity as devastating in it’s delivery – the perfect flavour and texture blend - beef topped with Pyrenean style goat’s cheese fondue, a honey glaze, grilled chorizo, finished with a flash of hot chilli. Chorizo, avocado cream, chunky Mayan salsa, jalapeño infused sour cream, super spicy Caribbean hot sauce, hot chilli, lettuce. We all have one, that uncle who likes to get a bit spicy. Our Uncle Pedro is Mexican - a saucy one with TGS Spicy Mayan Salsa, Spicy Avocado Mash, finished with our hot grilled chorizo. Beef, red onion confit, ketchup, lettuce. The Grazing Shed flavour experience starts here, so begin with with our succulent and juicy West Wales reared beef before you venture off through our menu on your TGS taste exploration adventure. Double beef, double cheese, smoked bacon, cajun mayo, red onion confit, ketchup, lettuce. The Grazing Shed’s classic burger stack. Double beef, double cheese and bacon. 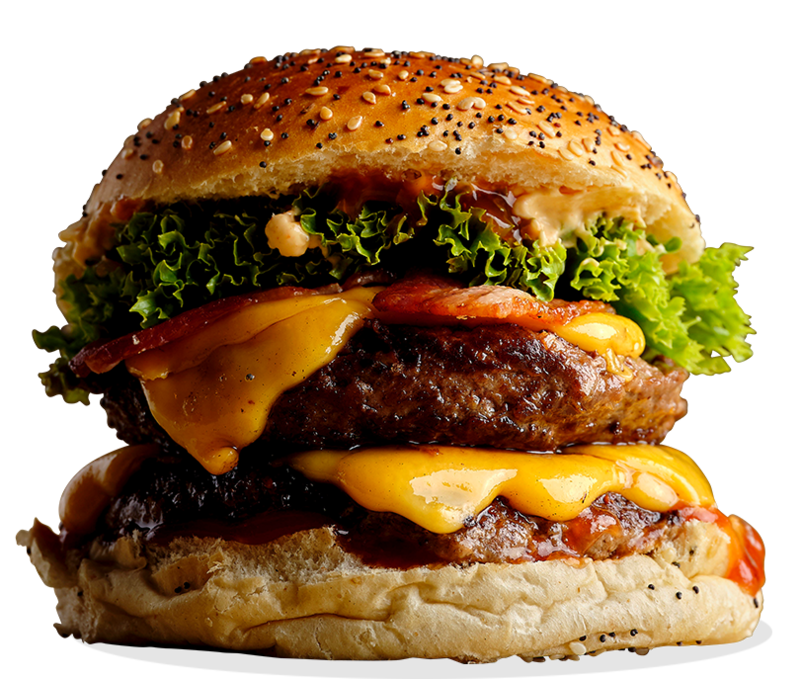 A towering giant that will have you against the ropes to the last mouthful. Double beef, smoked bacon, chorizo, jalapeño infused sour cream, red onion confit, ketchu, lettuce. 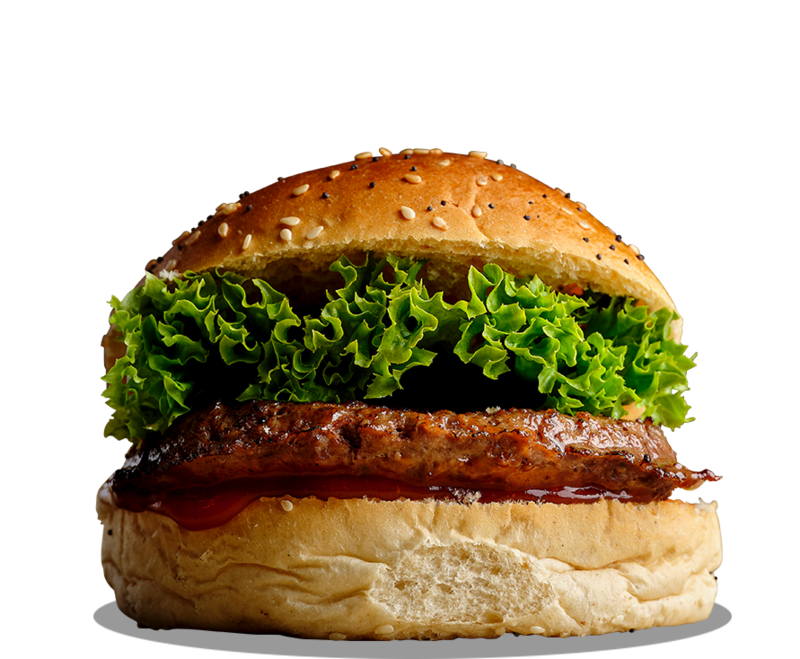 Our meat party in a bun - double beef, bacon, chorizo and finished with a sharp hot bamboozle of jalapeno infused sour cream, guaranteed to get a belly wobble on! Melted mozzarella, tomato & avocado salsa, cider apple chutney, Boom Boom mayo, lettuce and rocket. A taste of the summer, delicate Mediterranean and Asian infused flavours with a citrus salsa of avocado and tomato and sultry hints of coriander. Cheese, BBQ sauce, cajun mayo, Boom Boom mayo, red onion confit, lettuce. 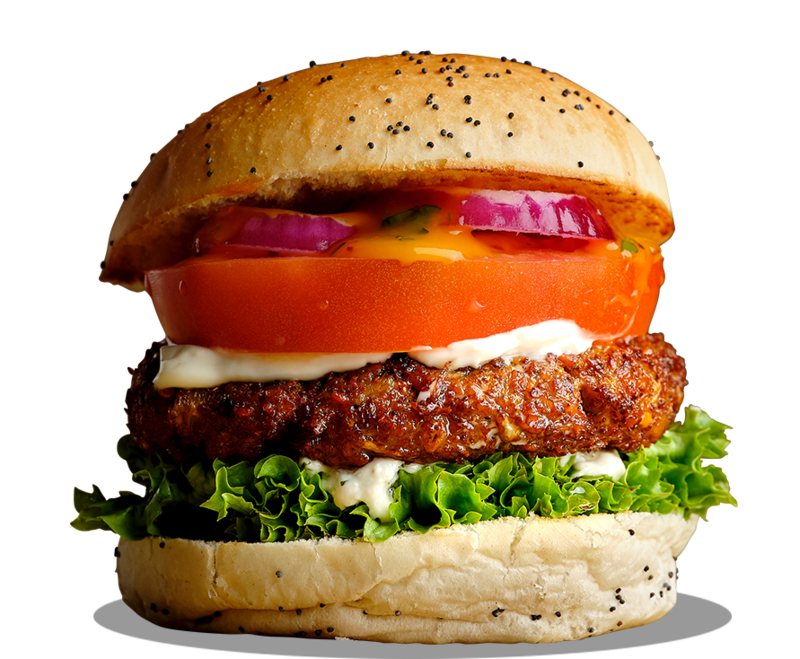 The burger with country girl pigtails! 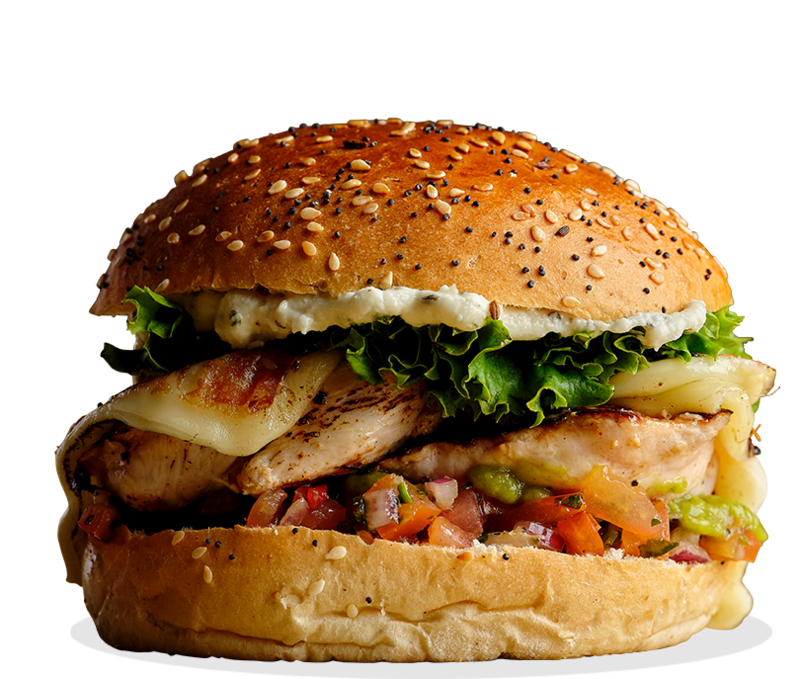 The classic chicken and cheese combo, topped with barbeque and Cajun flavours to unleash that inner cowgirl. Avocado cream, smoked bacon, Boom Boom mayo, lettuce. 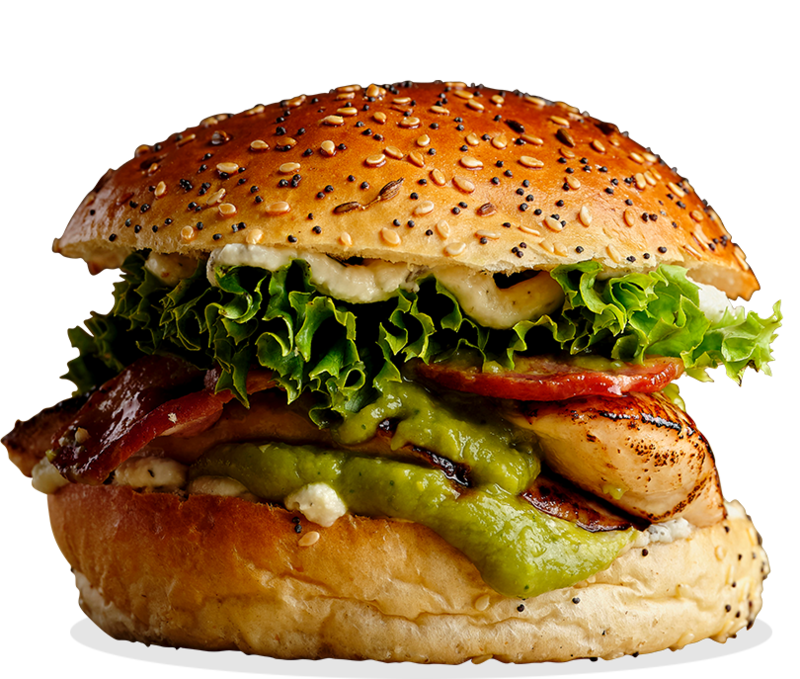 The lively one – chicken topped with Avocado cream, sweet chilli, crispy smoked bacon and rocket. 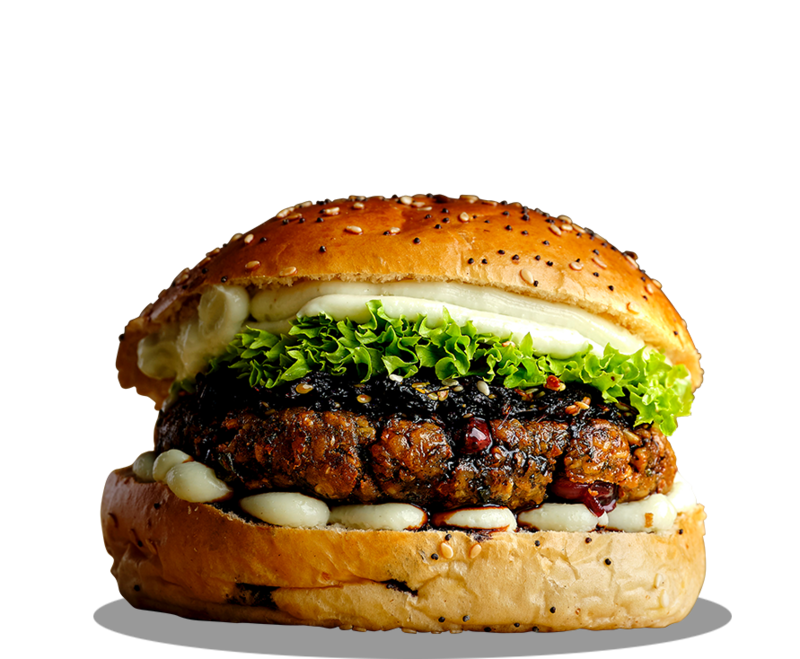 The burger with some serious mojo. 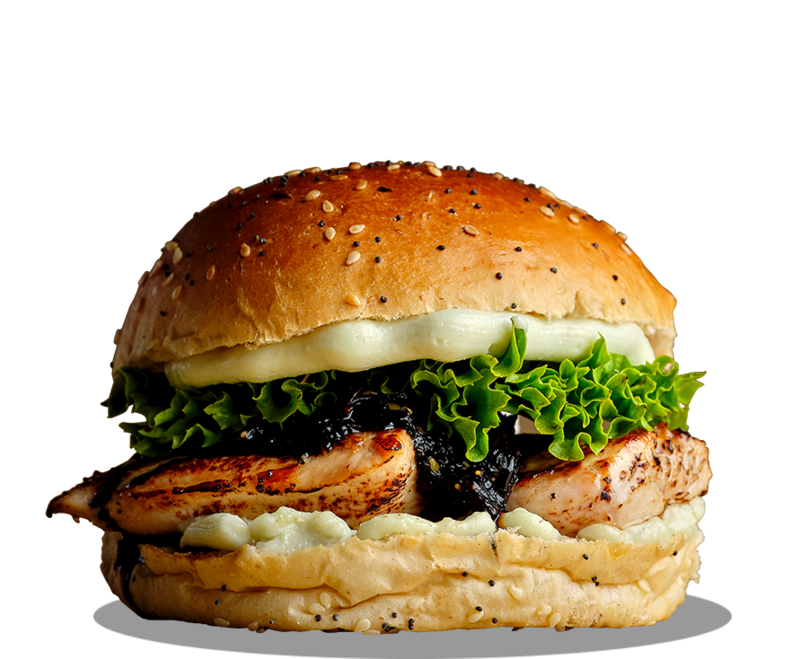 A Japanese delight – chicken enrobed with our homemade ginger, shallot and sesame infused soy & teriyaki sauce, served with our wasabi mayo that tantalises your taste buds before it hits like a Sumo. A match made in heaven - chicken oozing with creamy blue cheese topped with bacon, onion confit and a little southern spice. 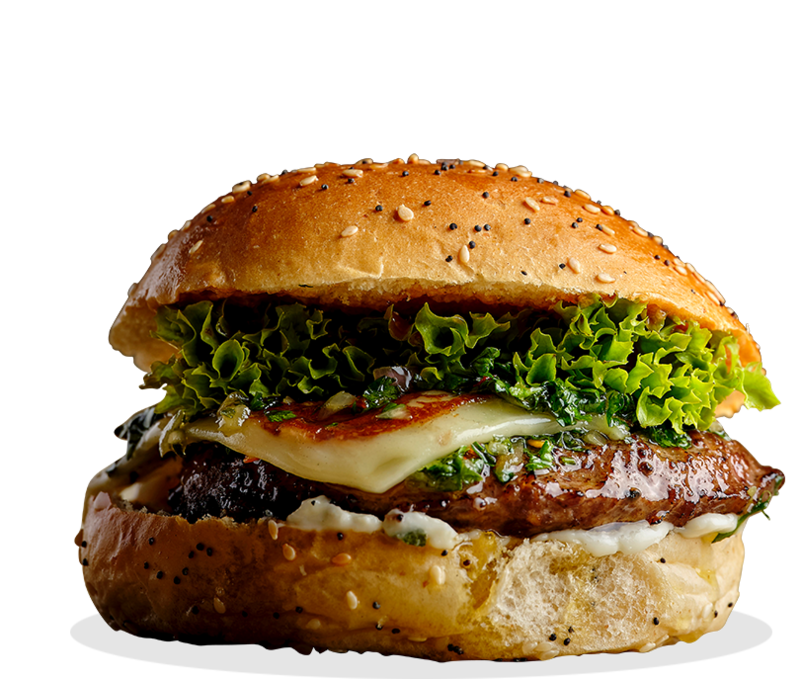 This burger is sure to bring out the Italian devil in you. Avocado cream, chunky Mayan salsa, jalapeño infused sour cream, super spicy Caribbean hot sauce, hot chilli, lettuce. 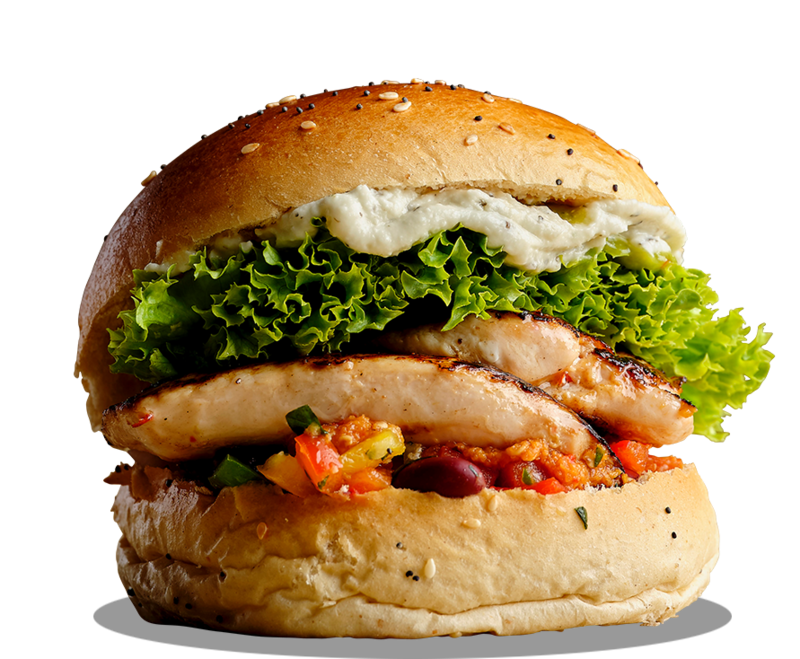 Our red-eyed chuck with a Bajan swagger – chicken topped with Caribbean hot sauce, spicy bean and pepper salsa and Spicy Avocado Mash. Boom Boom mayo, red onion confit, lettuce. 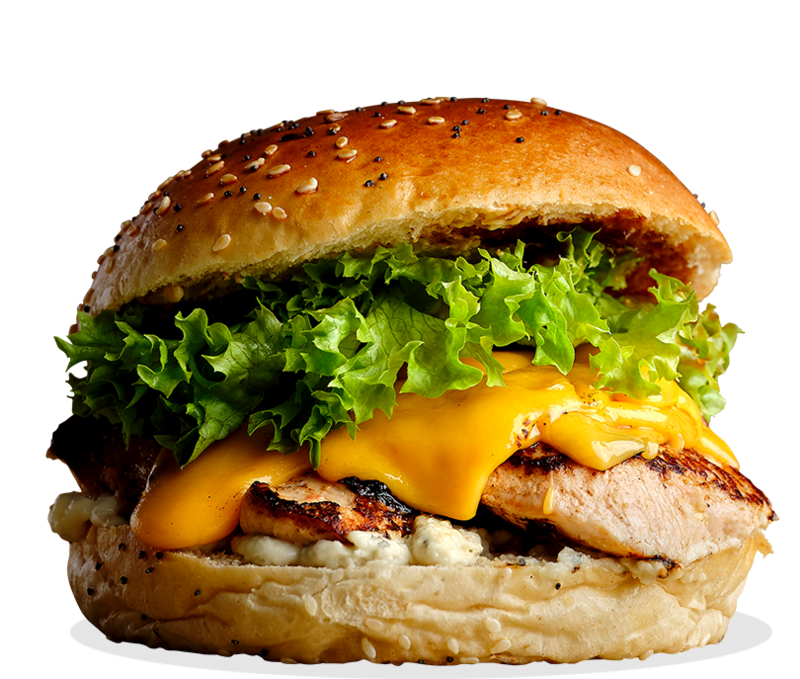 The classic chicken burger. 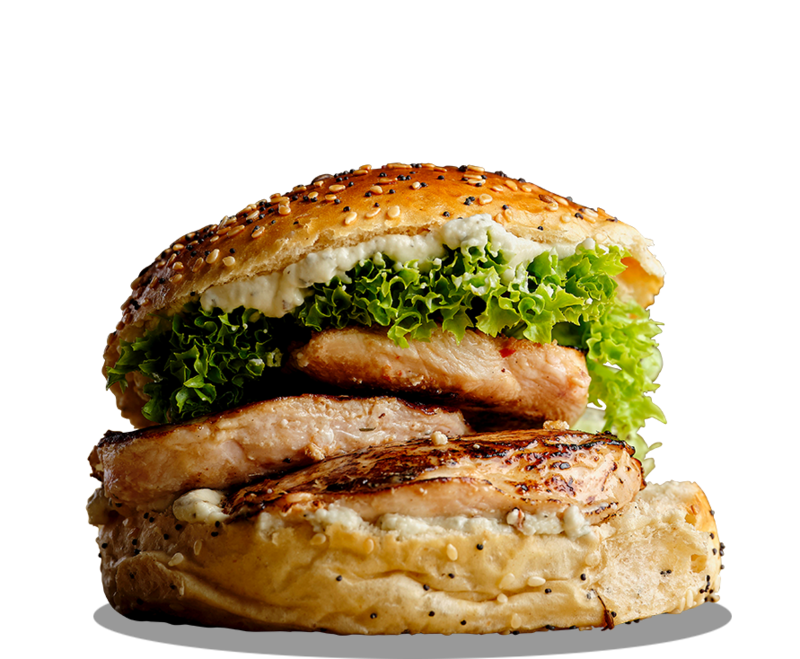 Taste our original chicken flavours before you venture off through our menu on your TGS taste exploration adventure. 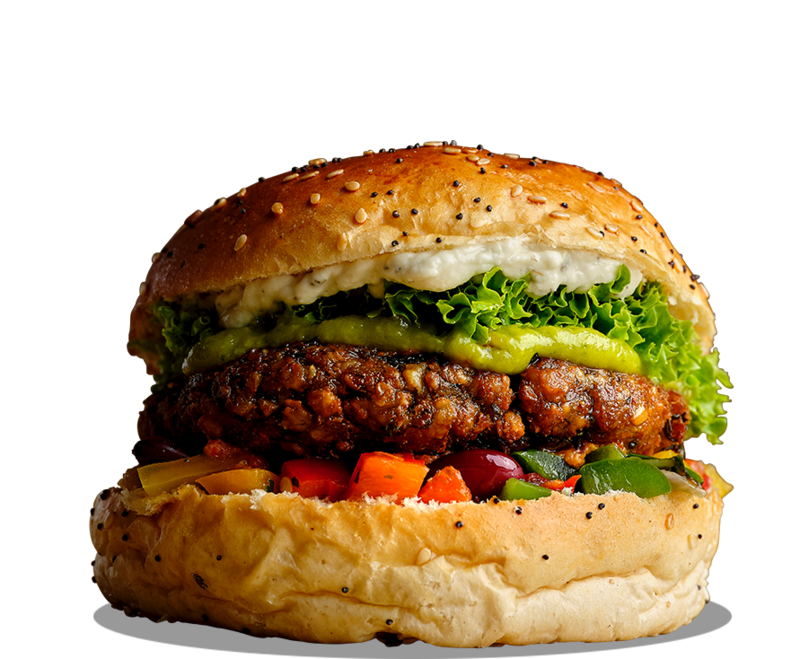 Veggie patty, tomato salsa, avocado cream, Boom Boom mayo, apple chutney, lettuce. Honey glazed goat’s cheese fondue, Boom Boom mayo, apple chutney, lettuce. 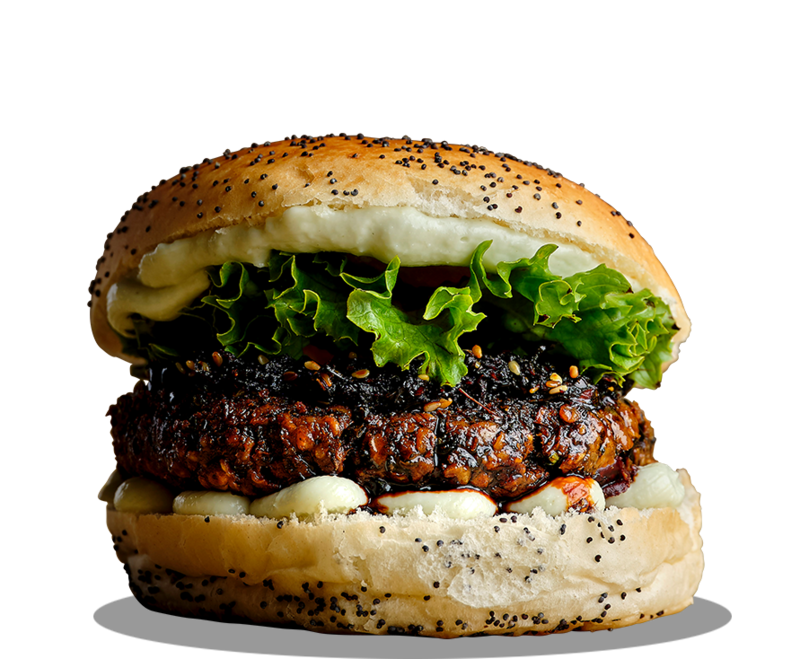 A Japanese delight – veggie patty enrobed with our homemade ginger, shallot and sesame infused soy & teriyaki sauce, served with our wasabi mayo that tantalises your taste buds before it hits like a Sumo. Blue Cheese fondue, cajun mayo, red onion confit, Boom Boom mayo, lettuce. 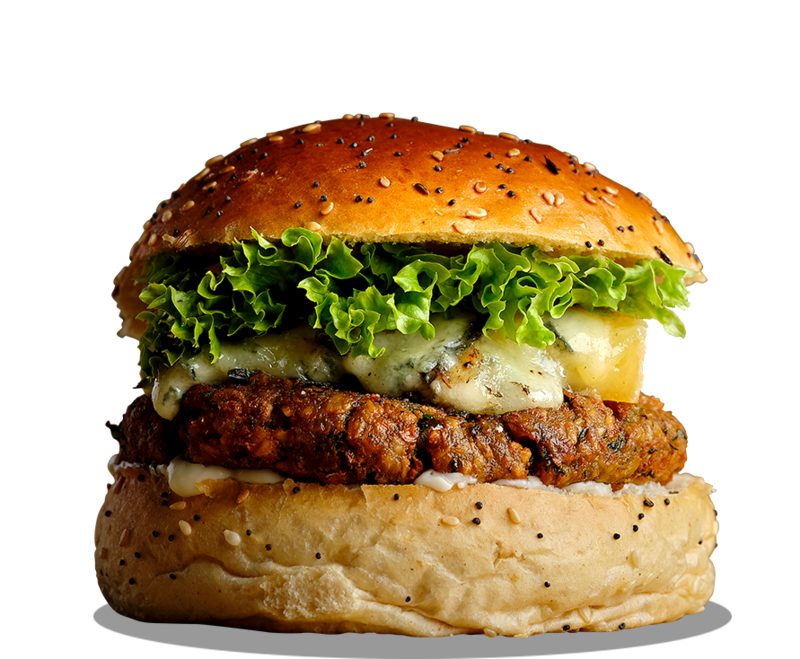 A match made in heaven - veggie patty oozing with creamy blue cheese, onion confit, Boom Boom mayo (Lime & Basil) and a little southern spice. 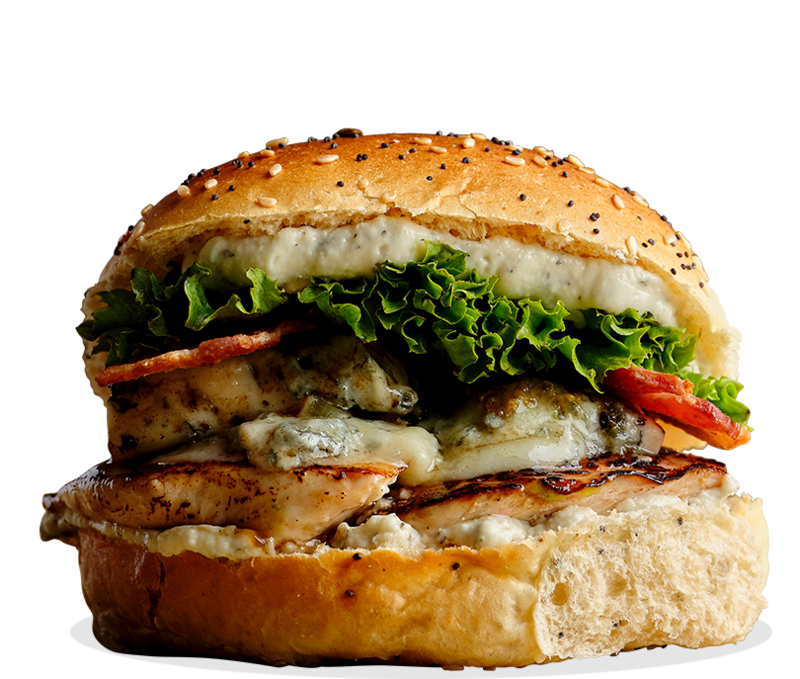 This burger is sure to bring out the Italian devil in you. 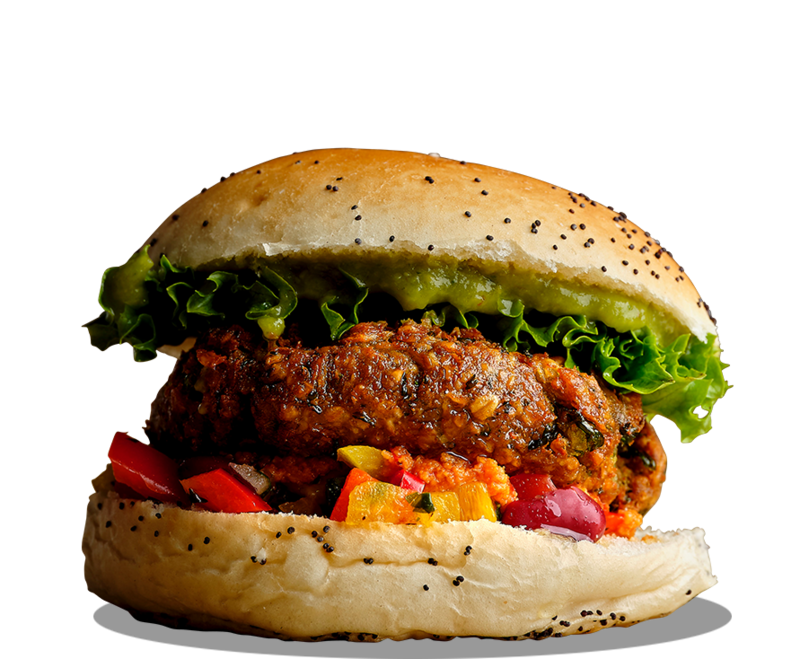 From the fiery pits of veggie hell comes our power-packed veggie patty draped with TGS Mayan Salsa, super spicy TGS Caribbean Hot Sauce and Spicy Avocado Mash. This flaming beast will set your world on fire, and then some! Boom Boom mayo, apple chutney, lettuce. Add cheese for 50p. 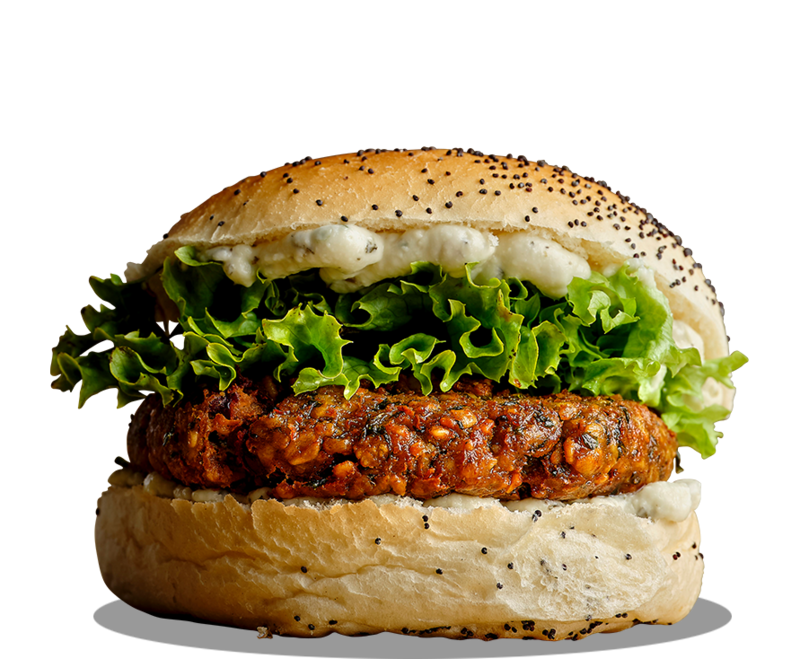 The journey through our veggie menu starts with the classic burger – a homemade superfood patty of smashed chickpeas and beans blended with our secret herbs and spices. The Burger of Champions. 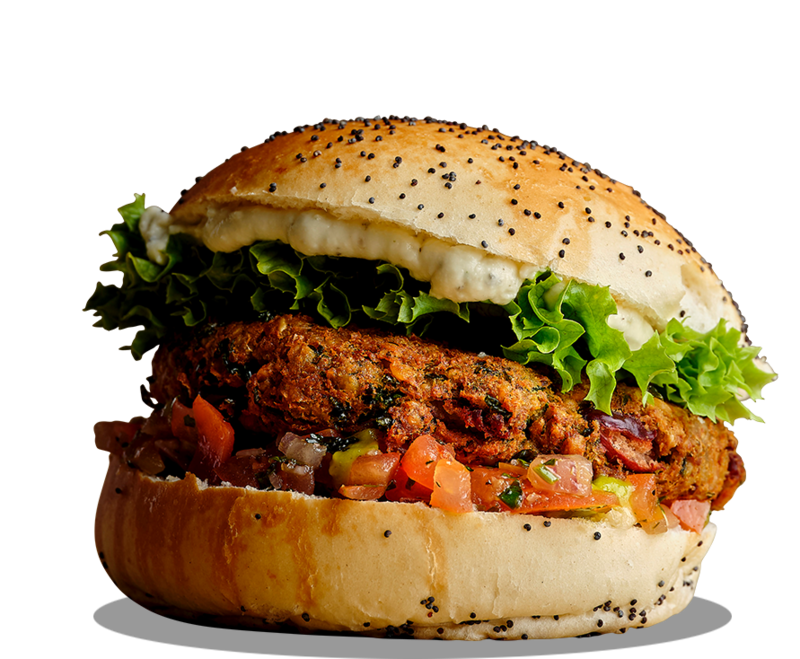 Curry patty, garlic mayo, mango chutney, chilli sauce, dill and tomato tzatziki, red onion, beef tomato. Think wild child turned Vegan superstar. 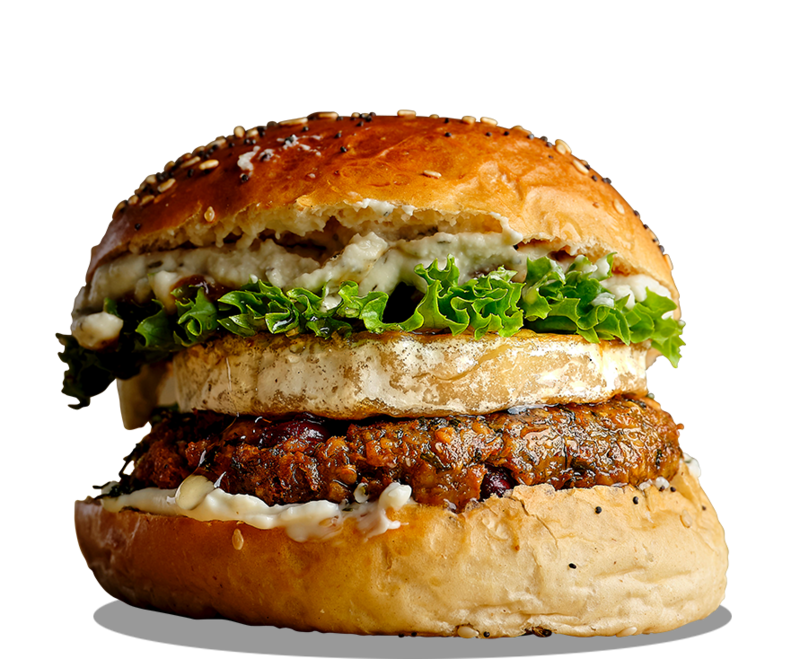 A curry patty with garlic mayo, tatziki, mango sauce, chilli sauce and a stack of fresh red onion and tomato. A naughty mouthful that makes oh so dirty, taste oh so right. Avocado cream, chunky Mayan salsa, super spicy Caribbean hot sauce, hot chilli, lettuce. Veggie patty, Boom Boom mayo, apple chutney, lettuce. 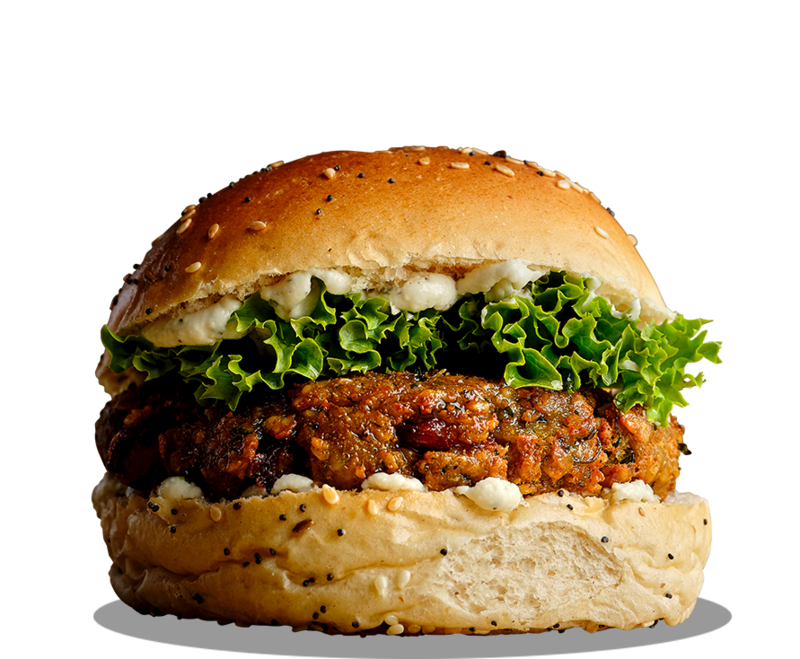 The journey through our vegan menu starts with the classic burger – a homemade superfood patty of smashed chickpeas and beans blended with our secret herbs and spices. The Burger of Champions.